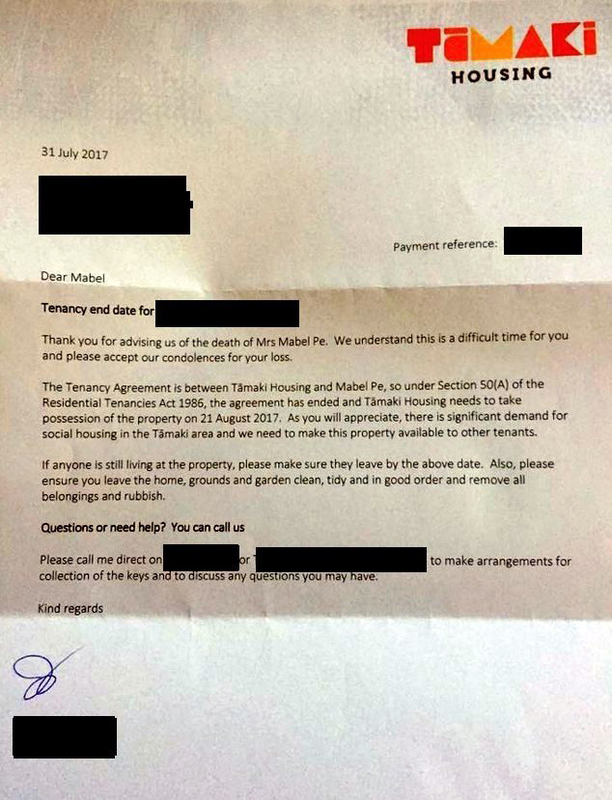 This letter sent to a group of five children in a government-owned house after the solo mother had died made the news yesterday. It’s almost certainly a stock letter and some desk bureaucrat (on probably a big salary) simply sent it in response to a notification this Crown-Owned Enterprise had received. Clearly, this bureaucrat didn’t think to ascertain what situation the children were now in; no, the rule says that anyone living in a house in which a lessee has died must vacate, pronto; or at least within the one month prescribed in Section 50(A) of the Residential Tenancies Act 1986! In fairness, you don’t just get this in government, but in big businesses, too.